If you run display advertising campaigns, you likely invest heavily in increasing your banners' click-through rates. 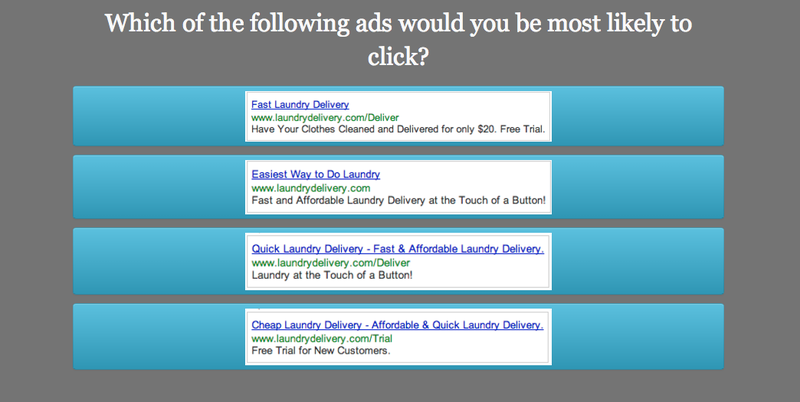 You can easily use surveys to test banner ad designs and calls to action: Just show various ads to consumers, and ask which one they would most likely click. 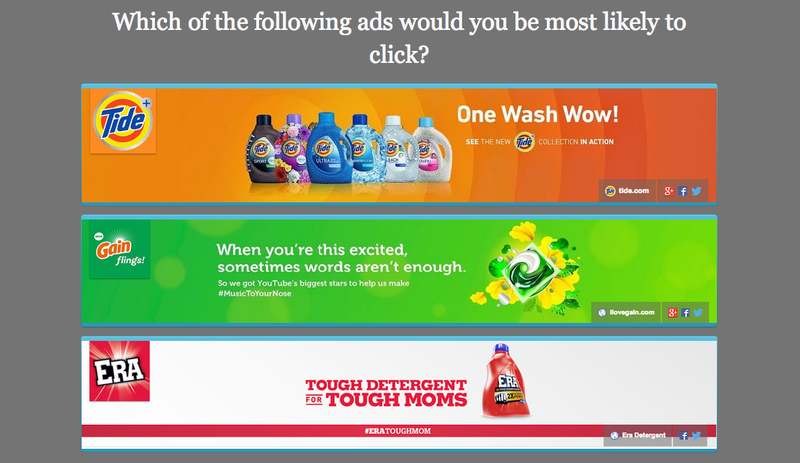 Beware, this test demonstrates “stated preference” which can differ from “revealed preference.” But this is an inexpensive way to predict which banners will boost your CTR before paying for impressions. Similar to testing banner ads, you can show different AdWords text ads to respondents and ask them which they’re most likely to click on. Again, this is a stated preference and not a revealed preference. But if you're bidding on high CPC keywords, this survey may be more cost effective than running a live CTR test on AdWords. After you know whether consumers remembered your ad, you should measure whether it was actually effective. Run one survey before your campaign and one survey after your campaign to look for a lift in brand awareness, brand favorability, or purchase intent. Again, utilize a control group (consumers not exposed to your campaign) to ensure the lift was not from an exogenous factor. For businesses that are not "direct response" advertisers, ad effectiveness surveys are critical to knowing whether your expensive campaigns are paying off. Any search engine marketer would love to extend their keyword list, and surveys make this possible too. Ask respondents for the terms they’re likely to use when searching for a given topic, and prepare to be amazed by how many different ways there are to search for the exact same thing. Such a process will likely lead you to keywords not suggested by existing tools, like Google's Keyword Planner. Don’t let this happen to you. 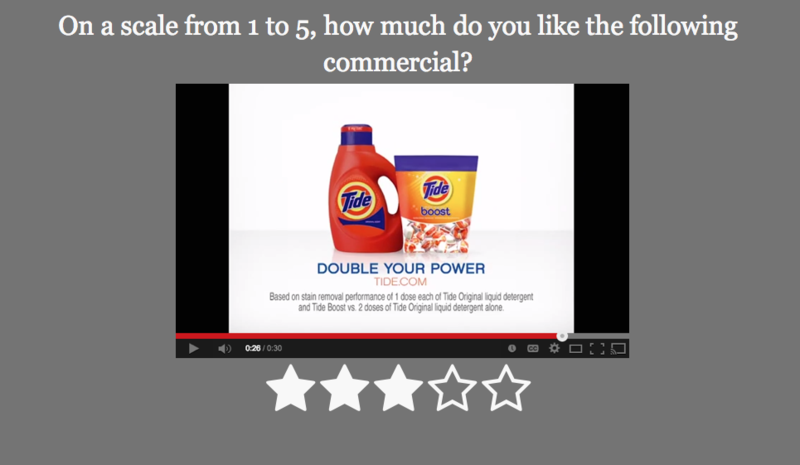 Show potential versions of your TV commercial to your target audience and ask a few questions to get feedback. This ensures your ad is a winner before it's ever seen by the general public. Have an idea for something we missed? Post a comment and let us know!